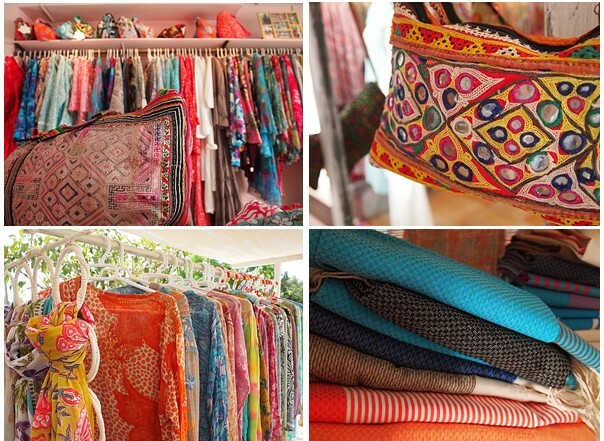 The flagship store of bohemian boutique Aurobelle is located in the centre of the picturesque village Santa Gertrudis. It offers an eclectic collection of elegantly simple, sensually playful, gracefully comfortable and joyfully colourful pieces. 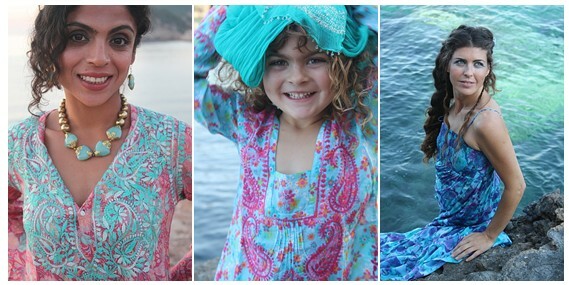 We loved the hand block printed symmetry patterned dresses, chickan embroidered kaftans, hippy chic handbags, pareos, soft hammam towels and jewellery - all made from natural fibres - soft cotton, elegant silk & sheer chiffons. 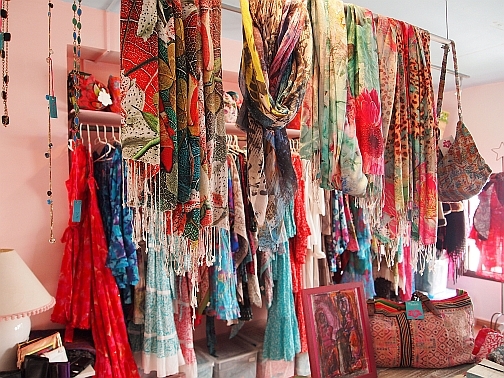 The Santa Gertrudis boutique is a feast for the senses – the colours, fabrics, history behind each item makes shopping a joyful experience. Aurobelle is the brain child of the travelling designer and entrepreneur Jane Natascha Naeke whose puts love and passion into her designs. She’s lived in Paris, Marseille, London, and New York and told us how she was inspired to set up the boutique during her travels to the Aurovill community in South India. It was here that she decided to set up a fashion line and started production in India experimenting with styles and colours. She sold her pieces on a remote beach in Goa and in Ibiza’s well known hippy markets Las Dalias and Es Canar listening to feedback from customers all over the world she perfected her stunning signature collection available at the store. 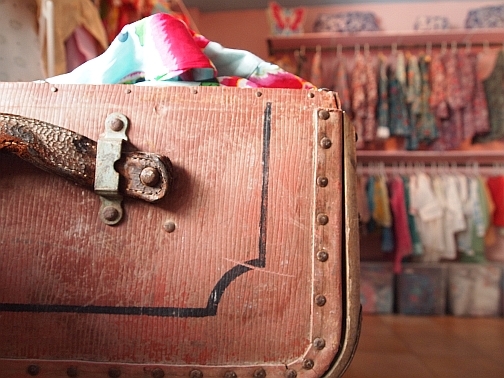 Aurobelle is offering a Pop-Up boutique service for Hotique customers - they will visit your hotel, villa, boat or retreat for 2 hours of exclusive shopping free of charge.